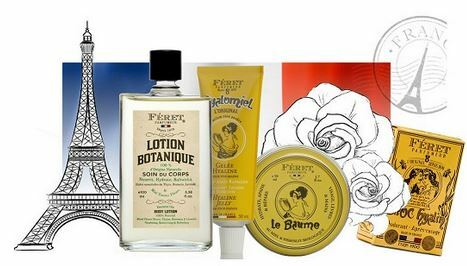 The effortless glow of French skin has landed at JOYCE Beauty with Féret Parfumeur – an iconic French family brand established over 150 years ago. 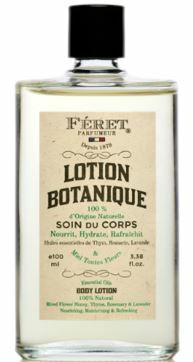 From the days of Napoleon III’s rule in 1865 to the globalised 1970s, Féret Frères enjoyed worldwide prestige as France’s leading manufacturer and distributor of French and international perfumes and beauty products. 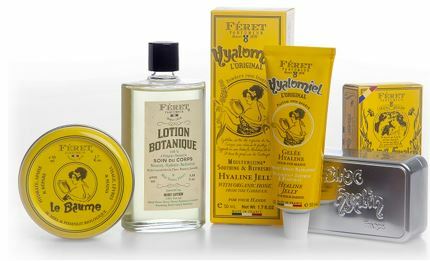 For the past four decades, Féret Parfumeur has focused on its own high-quality, natural products with its trademark retro packaging, including the award-winning Bloc Hyalin and acclaimed Hyalomiel gel. 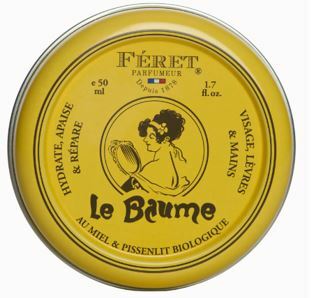 The entire Féret Parfumeur range is made in France with natural, sulfate-free ingredients such as organic honey and essential oils that are always gentle and effective. Nearly 150 years of history has crafted a treasure trove of naturally refreshing, moisturising and protective products that benefit women and men of every age. The brand’s incredible heritage has also produced Féret Parfumeur’s distinct nostalgic packaging that conjures the savoir-vivre of post-revolutionary France. No French bag is complete without a tub of Le Baume. This 100% natural formula featuring organic honey and dandelion preserves the allure and beauty of the face, lips and hands. A hint of violet delivers a delicious fragrance to the skin as it’s deeply moisturised, soothed and repaired. · Organic French honey and dandelion hydrate and calm dry and damaged skin. 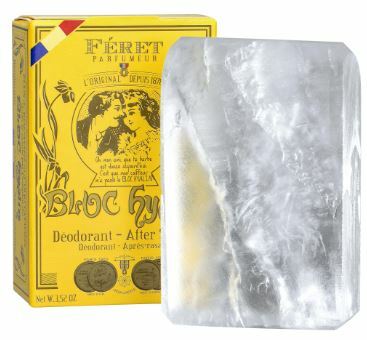 · Regular use will prevent chapping, cracking, dryness and tightness. · Scented with violet for gently perfumed skin in an easy on-the-go size. Tips: Apply to dry skin and gently massage enough to allow it to penetrate. Recommended after cleansing in the morning and evening. Repeat as often as necessary. This all-in-one balm for the face, lips and body blends organic French honey, dandelion, and a powdery rose scent. Suitable for the whole family, its natural ingredients hydrate and calm dry and damaged skin. An ideal size for handbags and satchels, the rose-scented balm moisturises and soothes as it repairs. · Organic French honey and dandelion moisturise and repair dry and damaged skin. · Natural ingredients soothe chapped, cracked and dry, tight skin. · Scented with rose powder for gently perfumed skin in an easy on-the-go size. Throughout the seasons, keep your hands soft and protected with this cherished gel used for over a century. Organic French honey protects, moisturises and refreshes the hands and feet with a subtle rosy scent. Daily use will help combat the signs of ageing on one of the most visible parts of the body. 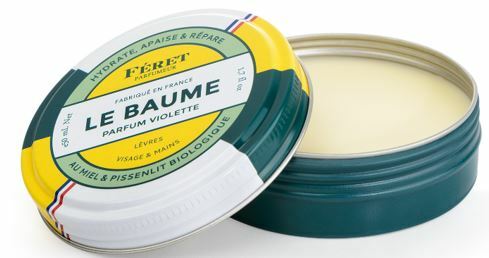 · Formulated with organic French honey to gently nourish, soothe and refresh the hands and feet. · Designed for both women and men, a delicate scent of powdery rose leaves a pleasant aroma wherever you go. · This beautifully textured gel does not stain clothing and is the perfect size for a handbag or satchel. Tips: Apply a small amount to the palm of one hand and gently rub hands and fingers together. Can also be applied to bare feet. This 100% natural potassium alum stone is the perfect partner for shaving and waxing, and as a natural deodorant. Its nourishing and antibacterial properties attack hair-removal rashes, ingrown hairs, and acne spots. As a natural deodorant, it leaves an invisible film of mineral salts that inhibit the bacteria responsible for unpleasant odours. · Softens, hydrates and heals the face, hands, feet and legs during shaving or as a hypoallergenic skin remedy. · Astringent effects prepare the hair to make shaving easier, while its after-shaving benefits soothe, tone and renew. · Its anti-bacterial properties prevent the appearance of spots and pimples. Tips: Run the block under warm water and rub it onto your skin. It can be used on the face, armpits, hands, legs and feet. A long-lasting product with plenty of perks, the original Bloc Hyalin should be kept dry in its purpose-built case. Unlike other stones, 100% natural potassium alum has benefitted from a long and complex process of purification. To maximise its time-honoured benefits, store it in this metal case after each use. 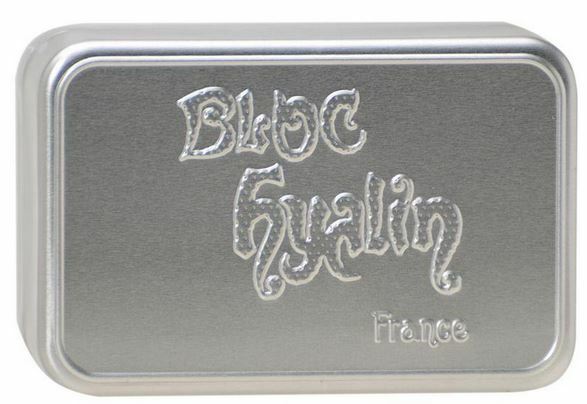 · The original Bloc Hyalin, developed in 1878, should be kept dry in its box or in a soap holder. · 100% natural potassium alum is not mixed with any chemical or synthetic product. · It naturally soothes and repairs during and after shaving, and is an excellent alternative to deodorants that contain perfume, alcohol and parabens. The perfect finish to a tranquil shower, this 100% natural body lotion features a botanical blend of organic seed oil, essential oils, honey, thyme, rosemary and lavender. A favourite among elegant French women and men, it deeply nourishes and refreshes the skin with an invigorating Mediterranean scent. · Organic seed oil, essential oils, honey, thyme, rosemary and lavender recharge and nourish after a shower. · The lotion is completely natural, hypoallergenic, and dermatologically tested. · A suite of Mediterranean aromas soothes and calms. Tips: Pour a small amount of lotion into the hollow of your hand and massage it into the different areas of the body.